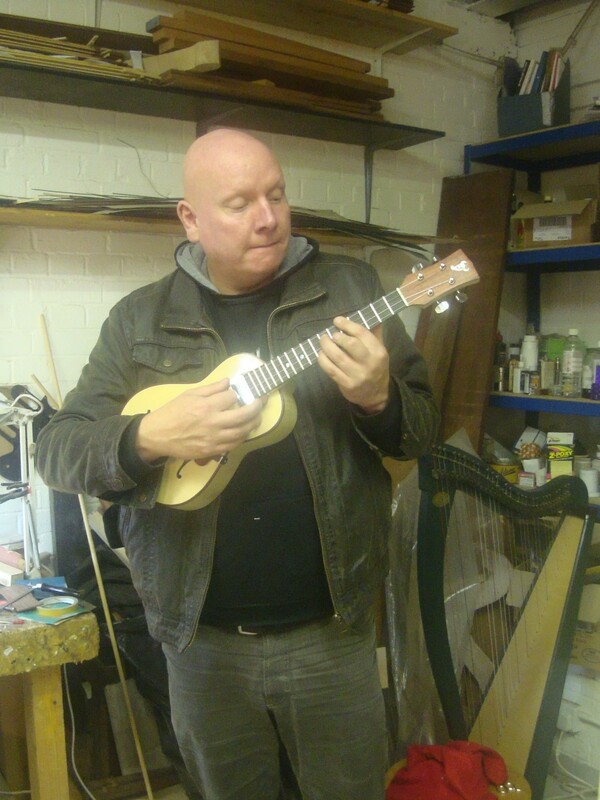 The Uke pictured was a special comission by Matt Wall who owns a 7 string of mine. 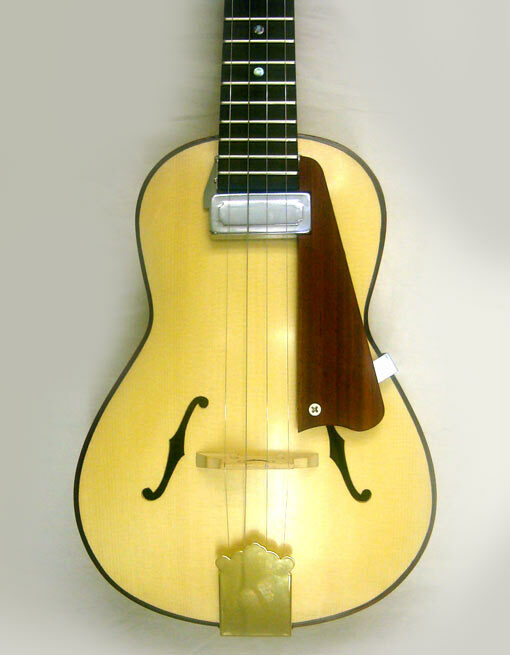 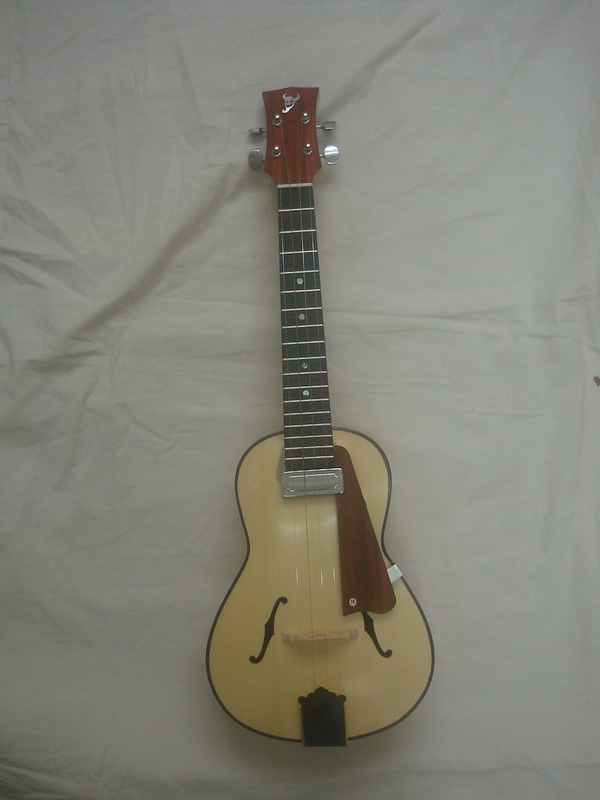 Strictly speaking it wouldn’t be called a ukulele as it has steel strings (chosen so that it could be easily amplified) and made to feel a little like a Gibson jazz guitar. 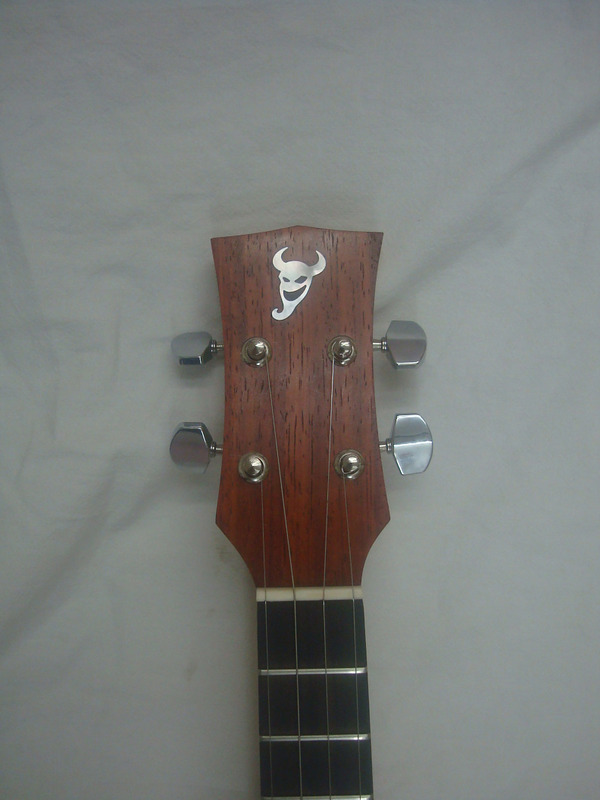 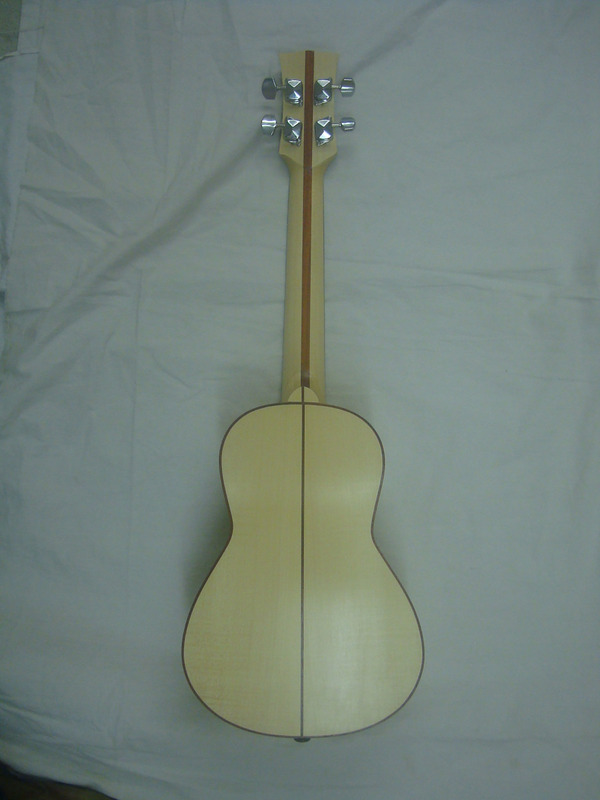 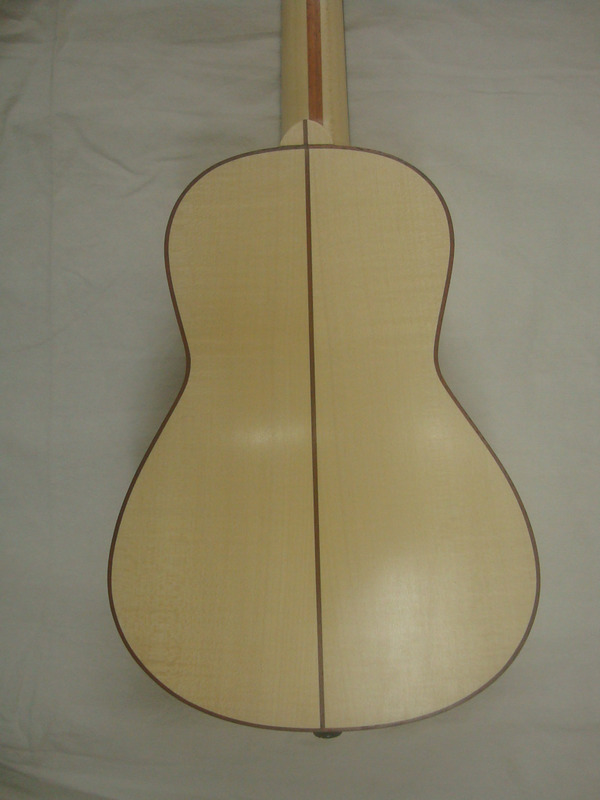 It has a Spruce carved top with maple back and sides (no carved back) and maple neck with a padauk pickguard.